My reading pace has slacked off this month for a variety of reasons, or maybe just the February doldrums. But I finally jumped back in with another book that has been on my TBR list for way too long. 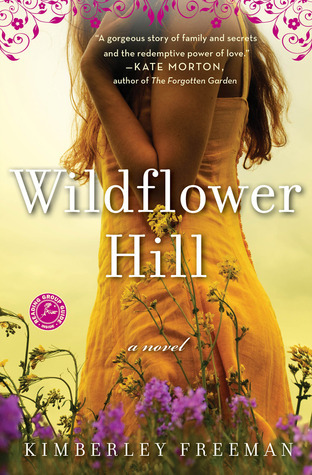 Wildflower Hill by Kimberley Freeman is a intergenerational saga set primarily in Australia. We’re first introduced to Emma, the granddaughter, a prima ballerina in London. This is set in contemporary times. Emma is in her early thirties and, although she won’t admit it to herself, she is at the tail end of her career. She’s aging out. Dance is central to her life; people are peripheral, so Emma doesn’t even give any thought to what might come next. She has a boyfriend, Josh. Handsome, successful, and convenient, Josh is someone she loves desperately, but not desperately enough to pay any attention to until he leaves her. A career ending injury follows, and life-as-Emma-knows-it is over. She returns "home" to Australia where her mother somewhat reluctantly informs her of a bequest in her beloved grandmother’s will. She has been left an old farmhouse in a remote part of Australia. Wildflower Hill. We then shift to Beattie’s story which is really the driving force of the novel. Beattie came of age in pre-WWII Scotland. Her parents were poor. Beattie worked two jobs to help out. And Beattie made some bad choices. Like having an affair with a married man who was quite a bit older. Inevitably, she finds she is going to have a baby. Being an unwed mother at that point in time is bad enough. Considering the father of the baby is already married – well, that doesn’t bode well for Beattie. She loses her jobs. Her parents kick her out. For awhile it seems even the father, Henry, has abandoned her. This is when her last friend, Cora, offers this advice: "There are two types of women in this world, those who do things and those who have things done to them." Beattie decides to be a woman who does things. Not to give away the whole plot, but Beattie does things. Major things. (Like run away to Australia for starters.) She’s a wonderful strong character and a very passionate one. She’s a good person (getting past that adultery thing), fair to others, and determined to succeed on her own. Her rags-to-riches tale is triumphant and yet, shot through with despair. Because whoo-boy! For all Beattie called upon Cora’s words of wisdom, I couldn’t wholly buy it. Beattie was the embodiment of both types of women. Things were done to her over and over again. She rises above it all impressively, but, realistically, this is not a happily-ever-after story for Beattie. Emma, as modern day woman, has a different set of problems, all of which are self-imposed. If Beattie was "shunned" by the community, Emma shuts people out because she is too busy and too self-important. Where Beattie lived life to the fullest and loved almost sacrificially, Emma has had a very narrow life, devoted entirely to her ballerina career. Her injury forces her to reevaluate her priorities. Her exploration of her grandmother’s old farmhouse lead her to question what she really knew about Beattie. And while she is in the small community encompassing Wildflower Hill, she meets new people and discovers what is truly important. There isn’t much that is surprising in Emma’s part of the narrative, but it’s a pleasant enough read. The real reward in this book is Beattie’s complex story. (But maybe that’s just my bias for historical fiction.) Beattie is not a perfect character. She makes mistakes. But she learns from them. She’s a fighter. She has a will of steel and a heart that won’t die no matter how many times it’s broken. I’d read a few reviews of this book when it first came out and thought it sounded like something I’d enjoy. I requested it from the library, but it was one of those bad timing things – a few books all came in at once. I was in the middle of something else. At any rate, I had to return it before I could read it. To be sure that I wouldn’t forget about it, I bought it on my Nook. And there it sat for many months. It’s even easier to ignore Nook books than books on a physical shelf. 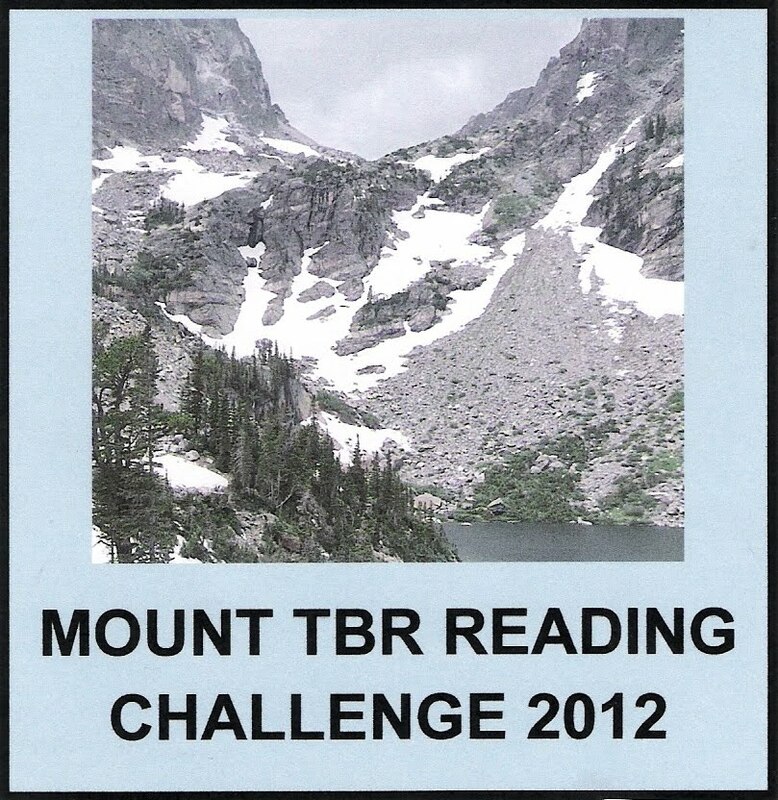 But this Mount TBR challenge (hosted by My Reader’s Block) is a wonderful thing. It inspired me to fire up my Nook and read this wonderful book! 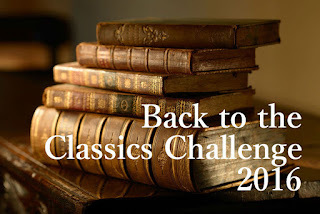 I love historical fiction that can take me out of the here and now and completely immerse me in another time and place – even when that time and place is a frightening place to be. I’ve just finished By Fire, By Water by Mitchell James Kaplan. 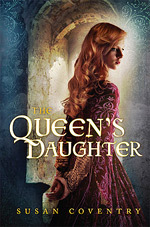 This moving novel, set in fifteenth century Spain, follows the harrowing experiences and tumbling fortunes of Luis Santangel, the chancellor of the court of King Ferdinand and Queen Isabel. Luis Santangel is extraordinarily wealthy and, as chancellor, enjoys the friendship (loosely defined as mutual back-scratching) of the king. Santangel is also an intellectual, curious about religion and philosophy, who is seeking the bigger questions in life. This may or may not be related to the fact that he is a converso, meaning he is a Christian of Jewish heritage. (He did not convert to Christianity. His grandfather converted. He was brought up Christian. However, there are some foggy memories of Jewish ritual from his childhood that come into play.) Santangel is aware of, and concerned by, things that are being done by the Inquisition. At first he seems to hope that his own influence will be a protective shield around those in his immediate sphere and he tries not to involve himself. But as the reach of the Inquisition expands, Santangel and the reader know that things are going to go from bad to worse. Santangel is forced to confront his own identity, his own priorities, and the limits of his own power. The novel shows us Spain during the Inquisition from multiple viewpoints: Santangel and those close to him, Torquemada, even glimpses from the king’s and queen’s eyes. Christopher Columbus plays an important role in the novel. (Santangel was crucial in introducing Columbus to the court.) It’s fascinating to see Columbus as a cog in the larger wheel rather than as the star of a New World-centered tale of the times. Finally, we are introduced to a mature and sensitive woman, Judith Migdal, who is making her difficult way in the Jewish community in Granada. The love story between Santangel and Judith is beautiful and believable. It adds additional poignancy to an already strongly emotional tale. I suppose any story about the Spanish Inquisition is bound to be emotionally draining, but not every difficult story is as rewarding as By Fire By Water. 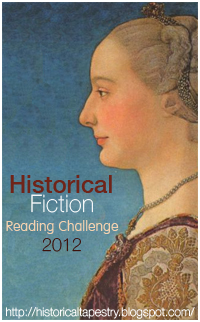 This is a historical fiction challenge book. 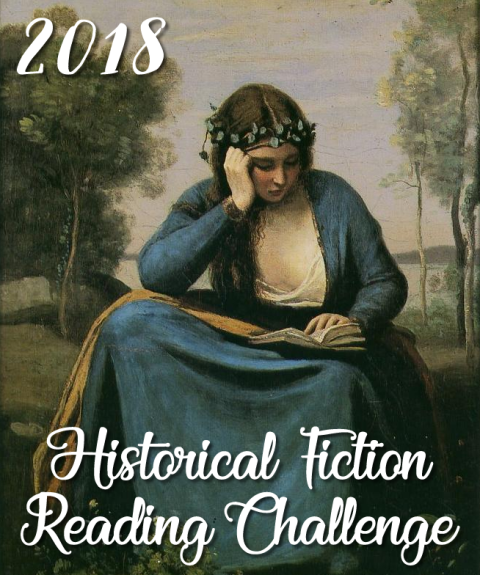 (Check out Historical Tapestries to participate or just to see what other historical novels are being read!) 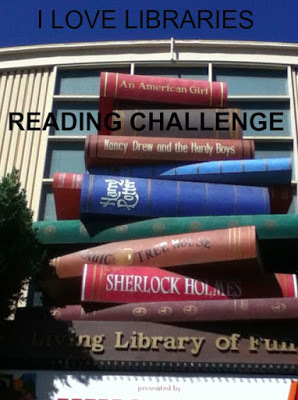 I’m also challenge double-dipping and counting it for my Mount TBR challenge. (Hosted by My Reader’s Block.) I picked this book up at the Historical Novel Society Conference last June. I got quite a few books at the conference and am excited to read all of them, but I’ve been slow to get to the pile. I particularly wanted to read this one because I don’t often read about Spain and I figured it was about time I did. I was right! Sometimes it’s not a good idea to set expectations too high for a book. I wasn’t going to review Dreams of Significant Girls by Cristina Garcia because I’m not sure that my reaction to it is entirely fair. 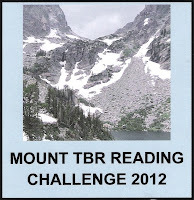 But my reading/blogging has been a bit slack so I thought I should at least review some of what I've read. I loved The Lady Matador’s Hotel, a book that is not my typical reading fare but that is a superb piece of writing. When I saw Garcia was coming out with a YA novel, I got all excited. It received some wonderful reviews. It's set in the early 1970's, which is semi-historical, but in truth, for me, is more contemporary. And it was billed as being a friendship story, like Sisterhood of the Traveling Pants. I haven’t yet read Traveling Pants but it’s been on my TBR list for a long time. Anyway, I pre-ordered the book, I was so eager to read it. The novel centers around three wealthy (exceedingly wealthy) teens who are shipped off to summer school in Switzerland for various family/social reasons. It alternates among their points of view. Vivien is a Jewish, Cuban-American, sweet, overweight girl who wants to be a chef. Shirin is an Iranian princess, mathematically minded, and a ultra-snob. Ingrid is a Canadian rebel, party-girl, daughter of a Nazi war-criminal. Despite their differences, they are thrown together, have some boarding school adventures, and unlikely friendships ensue. The first time I picked up the book, I read a few chapters and stopped, unable to get into the story. I couldn’t connect with the characters or their problems. But a few months down the road, I decided to give it another try. I did discover spots of lovely writing and nice insights. It’s fairly quick reading once I made up my mind to follow through. Still, I never really did come to care about the characters. Their angst-filled trials and tribulations were in some respects same-old, same-old. 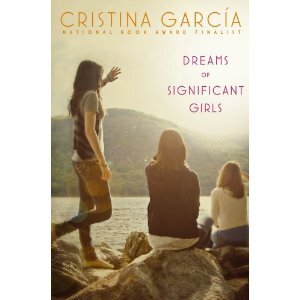 The only reason these girls were story-worthy was because of their fantabulous wealth and Swiss boarding school setting. And that somehow made their larger-than-life escapades seems a bit off-putting to me. Still, whenever I have this type of reaction to contemporary YA, I wonder when I turned into such a grouchy old lady. So my verdict is: while this book didn’t live up to my expectations, I’m not exactly sure what my expectations were. I still think Garcia is a wonderful writer and I’ll be reading more of her work in the future. 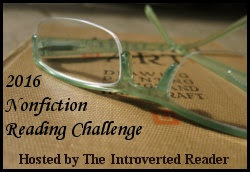 This is my first book read for the Mount TBR challenge hosted by My Reader’s Block. Hard Times by Charles Dickens was the selection for our next historical fiction/history book club's meeting. My husband (Brad, author of Cecelia and Fanny. The Remarkable Friendship Between and Escaped Slave and her Former Mistress) just finished reading it. His take on it was very different from mine. In fact, while he was reading it, I had to listen to him chortling with amusement and saying things like - "You didn't think this was funny?" So, to give Dickens his due, Hard Times may, in fact, be a very entertaining book and I shouldn't dissuade any potentially interested readers from giving it a shot. Having just finished Dickens’ Hard Times, I found myself with a quite a different reaction to it than Sue’s. So she asked me to contribute this post as a sort of alternative take to her own review of the book from last week. I won’t rehash the plot summary, which Sue handled well in her post. But where she found the book a slog—at least until the last hundred pages or so—I found it ironic and broadly comic in its portrayal of the two respected members of English industrial society, Mr. Gradgrind and Mr. Bounderby. These gentlemen—so over-the-top in in their insistence on hard facts and cold reason as the sole guides to life—get their comeuppance in the end, but I found Dickens’ "caricature sketches" of them in the beginning to be amusing and satirically biting. Mr. Gradgrind, who forbids his children from using the phrase "I wonder…" and permits no idle entertainment or frivolous decoration in his surroundings, could have served as the inspiration for every soul-deadening educator portrayed in literature and cinema from Catcher in the Rye to Ferris Bueller’s Day Off to The Simpsons. The industrialist Mr. Bounderby, who regards every demand by a worker or government inspector as a slippery slope toward a world of "venison and turtle soup" for the undeserving and continually trumpets his own [fictional] up-by-the-bootstraps rise to prominence, humorously parodied the puffed-up self-importance of the rich and successful. When Dickens described Bounderby and his fellow industrialists’ repeated threats to "pitch their machinery into the Atlantic" if the government regulated safety conditions or working hours, I was reminded of our own present-day Bounderbys threatening to move their operations to China if the EPA or the unions make more demands upon them to clean up their pollutants or live up to their pension obligations. Absurd? Yes. Over-the-top? Yes. But Dickens uses the absurdity of Bounderby and Gradgrind to point up the absurdity of early English industrialism, which viewed workers as interchangeable parts and equated social happiness with industrial profitability. In that way, Hard Times reminded me of Jonathan Swift’s A Modest Proposal—absurdity delivered with a straight face to satirize current social conditions. To be honest, I have never really warmed to Dickens. He has always struck me as a little too sentimental, a little too earnest. And certainly Hard Times has its share of sentimental earnestness, but for me it had enough vinegar in its satirical send-up of these scions of the industrial system to cut the sweetness satisfactorily.